With great pleasure, I will teach you how to properly fish with spinning from the shore, share with you all your achievements and skills, accumulated over many years. I&#39;ll tell you the tactics and specifics of the search for fish. 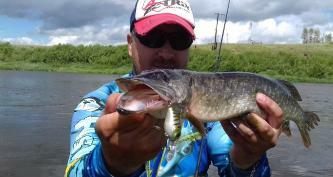 Training can be both on paid reservoirs and on small rivers of the Moscow region.